This summer has been a bit different for us as Kim recovers from her operation and has needed my support at home. 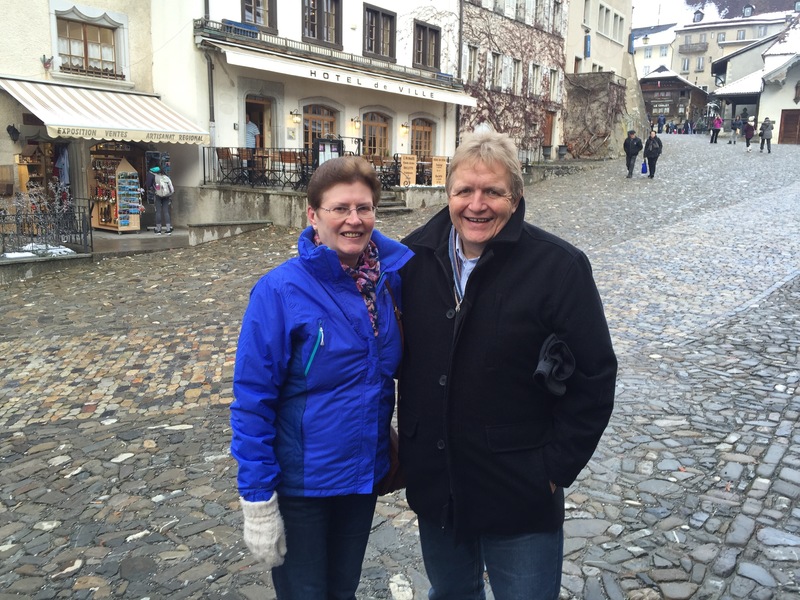 We have appreciated everyone’s prayers for us and at times have really known them holding us firm. Even in this difficult time we have felt God encouraging us to lift up our eyes and see where He is at work. It would be so easy to feel sorry for ourselves and miss the opportunities that He is presenting us with in the places we find ourselves. Kim has now started the second phase of her treatment. This involves an injection once a month, it is quite painful and has some unpleasant side effects for a few days. She has also been referred to Guy’s hospital in London for some new treatment. If she is accepted on this programme it will mean a trip up to London every other month with an overnight stay in an isolation ward as she would be radioactive for twenty four hours from the treatment. Her oncologist tells us that they have seen good results with this treatment. We are grateful to the doctors for all that they can do but have firmly put our trust in God and the victory Jesus won for us through His death and resurrection. We continue to value your prayers and encourage you to join us in our confession that “this cancer will not prosper in Kim’s body but will die and leave her body a cancer free zone”. We want to thank everyone for the support we have received from our home church and other churches we have worked with over the years – you are all such a blessing. 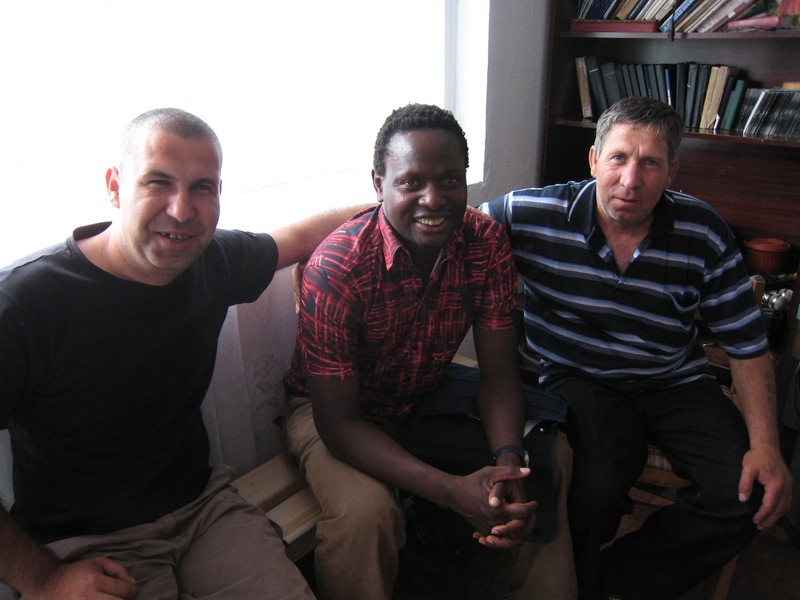 The end of July saw me make a seven day trip to Bulgaria to spend some time with the pastors in the Plovdiv area and to deal with some practical things that needed attending to. It was great to spend time with these brothers and their wives and to encourage one another and hear all that God is doing in the churches. One young man who was only married last year had a bleed in his brain. The doctors operated but did not hold out much hope for his recovery and were preparing his family for the fact that he probably would not survive the procedure. The church refused to accept this and prayed for the young man and much to the doctors’ surprise he made a full recovery. Praise God! Wha t great faith is growing in these churches. 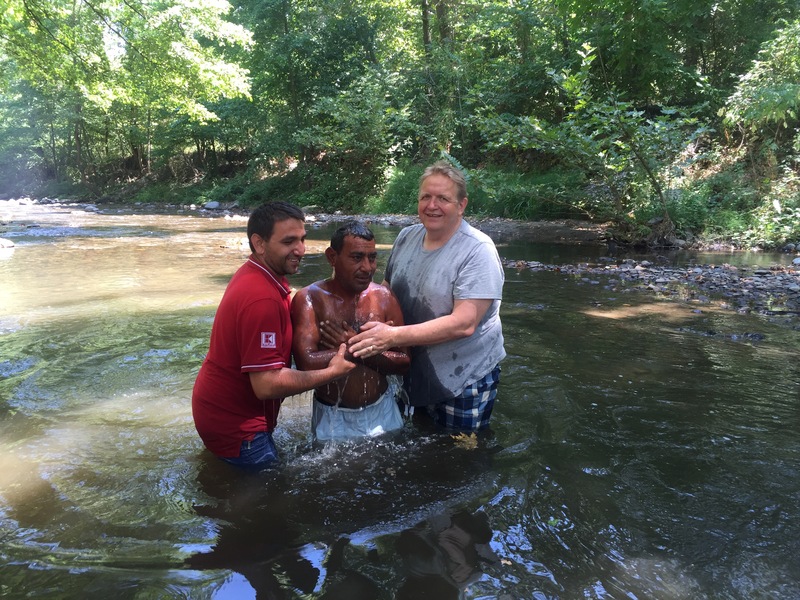 Another church is seeing significant growth and I was privileged to minister at a baptismal service at the river where we baptised a number of new believers. As I preached passers-by stopped and listened to the message and stayed to watch the baptisms. I’m sure this is the way all baptismal services should be done: out in the open where everyone can see just like in Bible times. 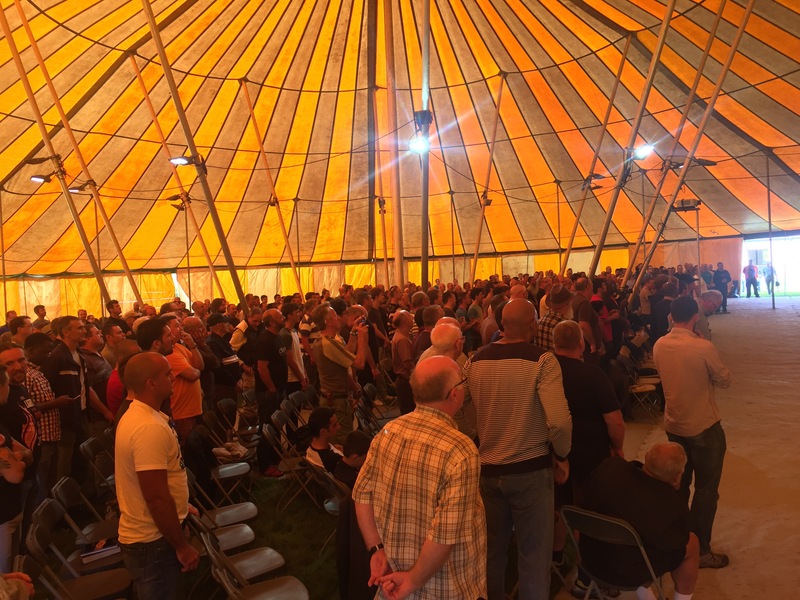 The end of August saw a small team and I join a group of brothers from around Yorkshire to setup both of our tents and the site for the UK Mighty Men’s Conference working alongside Angus Buchan from South Africa (of “Faith Like Potatoes” fame). I don’t think any of us had worked so hard in a long time! Angus’ whole trip had come under attack with groups trying to stop the events going ahead and there were opportunities where it would have been easy for us to have given up and succumbed to the enemy’s pressure. But we pushed through and the tents and site were ready on the Friday morning to welcome the six to eight hundred men who attended. One lady in the town commented, “to hear hundreds of men singing ‘How great Thou art”, I’ve never heard anything like it!” The men were encouraged to get back in the ring. Get off the canvas. Train to be the champions God intended them to be through discipline in prayer, fellowship with God and reading the Word. It was a mighty time of teaching and fellowship, renewing old friendships and making new friends and of course the Dales rang once again to hundreds of men in one accord declaring their “Amen!”s. This entry was posted in Bulgaria, United Kingdom. Bookmark the permalink. What a mighty encouragement and a testimony to God’s faithfulness.